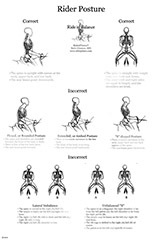 This durable laminated poster shows correct posture in the saddle as well as common rider posture problems. 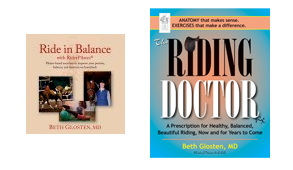 Solving a rider balance problem in the saddle starts with awareness of correct posture and spine alignment, and recognized postural difficulties. Post this in your arena as a reminder of correct position.